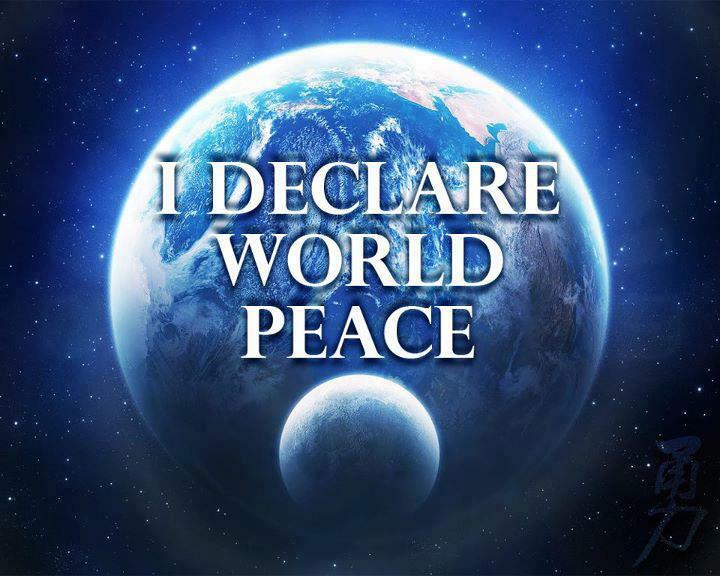 Home › Freedom-Expressed › Have You Examined The Worldwide Hierarchy and Its Military? Look for the hidden meaning behind the keys; keys to secrets and to what else? Do they claim dominion over all they See? Did they claim to interpret God’s Law with their doctrines? Is there a meaning behind why Legalese is written in Latin? Is there an elite faction that worship Lucifer, Apollyon, other deities and demons? Did you know that the Jesuit priests founded modern Astronomy? WHY does the Vatican allow their Observatory Foundation to name the world’s most technologically advanced telescope L.U.C.I.F.E.R.? No really, it is the Vatican’s most recent and most prestigious Telescope. Natives and indigenous People felt the religious violence from colonial rule with the holy church Doctrine of Discovery! Perhaps most alarming for Americans is the tremendous influence from the Roman Catholic Church over the formation of institutional governance in America, and that hidden hand influence continues today, albeit hidden in plain sight. Their Missions into the world led the early Jesuits to take on schools and colleges as part of their ministry. When the Society was suppressed in 1773, some 700 educational institutions were under its supervision. Jesuits are still active in education today, with 28 colleges and universities in the United States alone. This long term program institutional framework housing both science education and research continues today. Pres. G. W. Bush bows to Pope Benedict (Joseph Ratzinger). …lesser-known men who played key roles in the creation of the United States of America were Catholics. Chief among them were three members of the Carroll family of Maryland: Charles Carroll, the only Catholic signer of the Declaration of Independence; his cousin Daniel Carroll; and Daniel Carroll’s brother John Carroll, who became America’s first Catholic bishop. Roman Catholic George Calvert or Lord Baltimore created a Catholic colony in Maryland. The Jesuit John Carroll was probably the richest man in America in the late 1700’s. Carroll allowed funding to construct D.C. (which is nicknamed “Rome on the Potomac”). In fact, Wikipedia and the Catholic Encyclopedia confirm Washington D.C.’s original name as Rome, Maryland. Also, a branch of the Potomac River was called “Tiber”, which is named after a river in Rome. This information was written in the 1902 edition of the Catholic Encyclopedia under the article on John Carroll. The owner of the land used to be Francis Pope and his priest was Jesuit Andrew White. Like Rome, Washington D.C. has 7 hills (whose names are Capital Hill, Meridian Hill, Floral Hills, Forest Hills Hillbrook, Hillcrest, and Knox Hill). Roman Catholic John Carroll suggested that French architect Pierre-Charles L’Enfant to design D.C. A freeborn African American named Benjamin Bannaker also was apart of astronomy and architecture during that time. It’s said that Benjamin had a role in its construction. It’s a fact that Roman Catholic Charles Carroll was a signer of the Declaration of Independence. The Carroll family (who were run by the Pope plus the Jesuits of Rome) and the Freemasons were key in the American Revolution. John Carroll founded Georgetown University in 1789. Daniel Carroll owned land in D.C. Roman Catholic Pierre L’Enfant was apart of the creation of Washington D.C. as well. Roman Catholic Constantino Brumidi was the hired painter of occult pictures in the Capitol Dome. The date is February 21, 1871 and the Forty-First Congress is in session. I refer you to the “Acts of the Forty-First Congress,” Section 34, Session III, chapters 61 and 62. On this date in the history of our nation, Congress passed an Act titled: “An Act To Provide A Government for the District of Columbia.” This is also known as the “Act of 1871.” What does this mean? Well, it means that Congress, under no constitutional authority to do so, created a separate form of government for the District of Columbia, which is a ten mile square parcel of land. What??? “I do not like the reappearance of the Jesuits…. Shall we not have regular swarms of them here, in as many disguises as only a king of the gipsies can assume, dressed as printers, publishers, writers and schoolmasters? Are the elite powers (that should not be) flogging, yes flogging American citizens in the face and they don’t realize the symbolic slavery displayed to show they are covertly ruled under fascism today with fractional reserve banking, debt-slavery to the plantation owners? …the name Capitol Hill derives from Capitoline Hill, which was the seat of government for the Roman Empire. If you look at the wall behind the podium in the House of Representatives, you will notice that on either side of the US flag is the depiction of bundles of sticks tied together with an axe. An honor guard carries the Cuban and Vatican flags during the arrival ceremony for Pope Francis at Jose Marti International Airport in Havana Sept. 19. (CNS photo/Paul Haring) See POPE-CUBA-ARRIVE Sept. 19, 2015. Many researchers provide compelling evidence that the Jesuits and their Superior General (aka the “Black Pope”) rule from behind the throne (and out of the public view, as in a secret society). Speaking for God their words and writings became Holy Writ! They were the scribes and authors, generations later their written words still has Legal Authority. The Roman Curia is the administrative apparatus of the Holy See. A title of honor, applied to cardinals. The United Nations Military Is Being Enhanced? and I decided to share my thoughts alongside the transcript. Is this a fraction of the discussion to transition (downgrade) the U.S. military into a United Nations’ military force? Will the U.N. “Peacekeeping” military be called into action in the contiguous U.S. territory like Texas or California, or N.Y. City in the future? More details are needed. being here today at this important event. Under-Secretary-General for Peacekeeping, who has spearheaded this effort to dramatically increase the quantity and quality of peacekeepers made available to the United Nations. General Dunford’s presence here today is testament to how the United States – and in particular our military – is not only recognizing the evolving threats that we all face today, but also adapting so that we can effectively meet them. His presence here today marks the first time in history that a Chairman of the Joint Chiefs of Staff has spoken at the United Nations. the critical importance of building multilateral coalitions to address 21st century threats; threats that, by their very nature, cannot be confined to within national borders, or effectively confronted by any one nation. the crucial role of UN peacekeeping in addressing 21st century threats; and the need for all of our countries to follow through on the commitments we made at last September’s transformative peacekeeping summit, which was convened by President Obama, and at which so many governments made important pledges. enthusiastic about our collective efforts to enhance the capability and capacity of the United Nations to respond to the growing demand for peacekeeping operations. 45 thousand foreign fighters from 120 different countries have come to Iraq and Syria. conflict between states is not only trans-regional but also what we in the United States call multi-domain. That is involves simultaneous action on sea, on land, in the air, in space, and in cyberspace. we also see non-state actors involved in conflict that are able to leverage information, cyber capabilities, and sophisticated weapons. need for multi-national cooperation in responding to conflict. there’s a growing need for women to serve as peacekeepers. they threaten our collective legitimacy and our effectiveness. I want to emphasize that U.S. military forces are prepared to be a part of the solution, from helping to develop the capacity of peacekeeping forces, to providing enabling capabilities, to assisting with reform. priority for me, the United States’ Joint Chiefs of Staff, and the entire U.S. Joint Force. commitment from our country and from the U.S. AMBASSADOR POWER: Thank you, so much. And thank all of you for being here today at this important event. Let me in particular thank the United Kingdom for its leadership in convening the upcoming Defense Ministerial Meeting in London, and the Under-Secretary-General for Peacekeeping, who has spearheaded this effort to dramatically increase the quantity and quality of peacekeepers made available to the United Nations. General Dunford’s presence here today is testament to how the United States – and in particular our military – is not only recognizing the evolving threats that we all face today, but also adapting so that we can effectively meet them. His presence here today marks the first time in history that a Chairman of the Joint Chiefs of Staff has spoken at the United Nations. First time ever. And that reflects the understanding by the United States military – and in particular, by the General himself – of the critical importance of building multilateral coalitions to address 21st century threats; threats that, by their very nature, cannot be confined to within national borders, or effectively confronted by any one nation. This is a shift that General Dunford has experienced and practiced first-hand over his decades in service. To give just one example of the value he places on the sacrifices made by our partners to advance our shared security – and a clear demonstration of his character: when General Dunford was serving in Afghanistan – first as a leader of U.S. and NATO forces, and then as commander of the International Security Assistance Forces and U.S. forces in Afghanistan, ISAF – he made a point of writing an individual letter of condolence to the family of every fallen soldier in that effort, regardless of what country they came from. He made sure every letter was personalized. General Dunford has joined us today to speak, among other themes, on the crucial role of UN peacekeeping in addressing 21st century threats; and the need for all of our countries to follow through on the commitments we made at last September’s transformative peacekeeping summit, which was convened by President Obama, and at which so many governments made important pledges. It is the privilege of a lifetime to serve with General Dunford in the Obama administration. He is a leader known for his tactical and strategic intelligence, his humility, and his deep compassion. He has shown a unique ability to adapt to today’s evolving challenges and threats, and we are so very grateful he is here with us today on this historic occasion. Please join me in welcoming him. 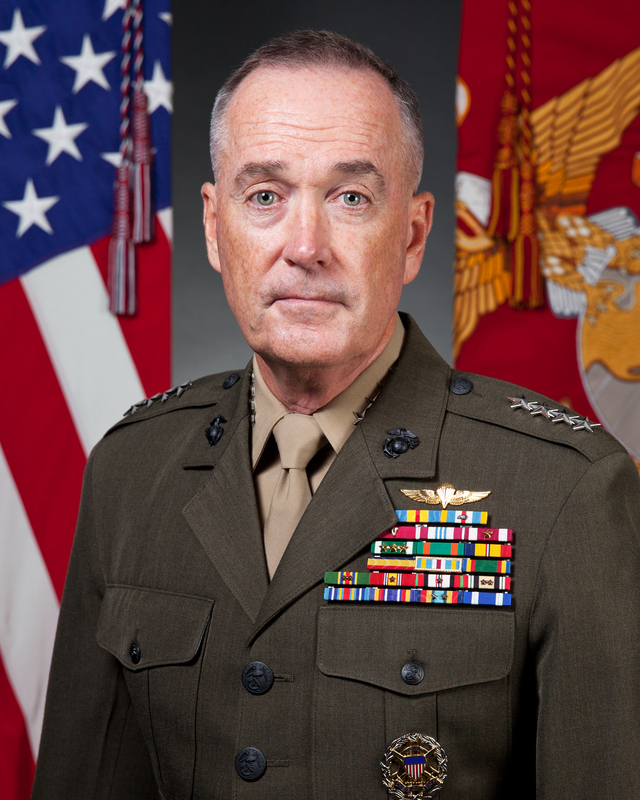 GENERAL DUNFORD: Well Ambassador Power thanks very much for the introduction, and more importantly, thanks for your leadership while representing us here at the United Nations. I appreciate that. Under-Secretary Ladsous, Under-Secretary Khare, Ambassadors, General Messenger, General Maqsood, ladies and gentleman, it’s an honor to be with you here this afternoon. When Ambassador Power asked me to join you, I jumped at the opportunity, because I truly believe in the utility of the United Nations peacekeeping. I’m particularly enthusiastic about our collective efforts to enhance the capability and capacity of the United Nations to respond to the growing demand for peacekeeping operations. Your commitment to maintain the momentum that we generated last September is reflected by your presence here today, and I want to thank all of you for being here and for focusing this issue. And I particularly want to echo Ambassador Power’s comments about the United Kingdom, and their leadership. And Gordon, my good friend, your presence here says it all. The current security environment has been described as the most complex and volatile since World War II – and frankly, I believe that. The challenges we face range from conventional conflict to the proliferation of weapons of mass destruction, from violent extremism to trans-regional crime, and the character of war has changed. Similarly today, today’s conflict between states is not only trans-regional but also what we in the United States call multi-domain. That is involves simultaneous action on sea, on land, in the air, in space, and in cyberspace. And we also see non-state actors involved in conflict that are able to leverage information, cyber capabilities, and sophisticated weapons. In addition to the complexity of conflict, we see increased volume. In 2014 nearly 60 million people were forcibly displaced from their homes by conflict, and the commission for refugees estimates that violence will displace over 40 thousand people a day. Of course, I’m not suggesting that United Nations peacekeeping operations are a solution for all of that, but that brief description of the current environment highlights the growing need for multi-national cooperation in responding to conflict. No longer can conflict be considered something that is “over there.” While the international community must develop a wide range of capabilities to respond to today’s challenges, we already have a relevant and potentially very effective tool in the form of the UN peacekeeping. And I firmly believe that UN peacekeeping can play a major role in dealing with the human suffering associated with conflict and by continuing to improve our collective security. President Obama made that point last September when he said: “we know that peace operations are not the solution to every problem, but they do remain one of the world’s most important tools to address armed conflict.” Of course he’s also directed the U.S. military to do more in support of UN peacekeeping operations and he’s asked others to make a commitment to do the same. Just as the character of war has changed, the nature of UN peacekeeping missions has changed. Today, two-thirds of all blue-helmeted peacekeepers are serving in active conflict areas, a trend that in my estimation is likely to continue well into the future. A quick review of the ongoing peacekeeping operations highlights the wide range of conditions within which we’re operating today: Military and Police forces under the UN Flag are disarming violent rebels in the Democratic Republic of the Congo; UN peacekeepers in South Sudan are delivering humanitarian supplies and protecting over 100,000 innocent civilians; The UN observer mission in Lebanon is actively monitoring the ceasefire agreement in a volatile and challenging environment. And as day turns to dusk in Mali, peacekeepers wearing blue helmets are providing people with the security they need to return to their communities while preventing the return of violent extremists. I believe that these examples actually say as much about tomorrow’s peacekeeping operations as they do about today’s. And while we can be proud of what we have accomplished, we will get no credit tomorrow for what we did yesterday. To be successful, UN peacekeeping missions today and in the future must be capable of defending themselves, protecting civilians, and carrying out their mandate in the context of a very dynamic security environment. In short, to meet what I believe will be a growing demand for more complex peace operations, we’re going to need to adapt. Meeting the growing demand for a wide range of peacekeeping operations requires a robust set of capabilities and capacities. The needs are well known to this audience, they include: strong civilian and military leadership teams; staff capacity to design missions with clear objectives, end states, and measures of effectiveness; effective command and control; well-trained forces at the brigade, at the battalion, and at the company level; and appropriate enabling capabilities to include intelligence, air and ground mobility, logistics, counter IED capability, engineering, and medical capability. And of course, the foundation of any mission is quality, disciplined people with the right skills. And on this point, I’d like to highlight there’s a growing need for women to serve as peacekeepers. During my deployments to Iraq and later as the Commander of the International Security Assistance Force in Afghanistan, I learned first-hand that women are an important part of an effective response to today’s challenges. Women not only add to the capability of our own forces, they have a unique ability to connect with local populations in areas of instability. As we move forward to increase the size and grow the capability of UN peacekeeping forces, we have to address the challenges that we’ve experienced in recent years. I think it’s clear to all of us that the UN’s record in this area has been mixed – and there’s a lot of reasons for that mixed record, but chief among them is the hard reality that UN peacekeeping missions deal with some of the most challenging and protracted issues on the planet. But while many of the challenges are due to the nature of the conflicts, there’s other challenges that should concern us all. Problems of ill-disciplined units conducting criminal acts, including sexual assault; problems with corruption and shortfalls in equipment cannot be blamed on the environment. While the missions will always be hard, we have to address the challenges that are within our control. And we have to do that because they threaten our collective legitimacy and our effectiveness. To much of the world’s populations, a soldier or policeman wearing a blue helmet and a UN patch represents their last best hope for safety and security, and we must work to ensure that image and hope isn’t diminished. Being candid about our challenges is not about finger pointing, addressing them is something that we have to do together. And today, I want to emphasize that U.S. military forces are prepared to be a part of the solution, from helping to develop the capacity of peacekeeping forces, to providing enabling capabilities, to assisting with reform. This is a personal priority for me, the United States’ Joint Chiefs of Staff, and the entire U.S. Joint Force. And the priority we place on UN peacekeeping operations is consistent with our view that these operations make an indispensable contribution to international security. Ambassador, ladies and gentlemen, thanks again for the opportunity just to share a few thoughts with you on UN peacekeeping operations. I hope my presence here today – and just those few words that I’ve shared with you – is a message of commitment from our country and from the U.S. Military. Again, we firmly believe that these missions play a vital role in international security, and reform and adaptation will allow us to be more effective in the future and meet what we see as an absolutely growing demand for the kinds and capabilities that UN peacekeeping missions offer. You may think you know what CERN is, but Some of these facts you mostg likely have never heard because the mass media will not report about some of them! Did you know there was a lawsuit against CERN? Is Civilization a coincidence or is it intentional? Groups behave as a herd, and rarely does research speak of a “herder”, or a master-program that cast the spells or manipulate for a specific outcome. Imagine the developing quantum computer artificial intelligence capabilities for perfecting societal manipulation. From the great abyss of the ineffable unknown It came. It directed minions to enslave the Earth. The outpost was parked as the manipulative all seeing eye from above. The outpost became known as the Luna goddess, it is now called the moon. 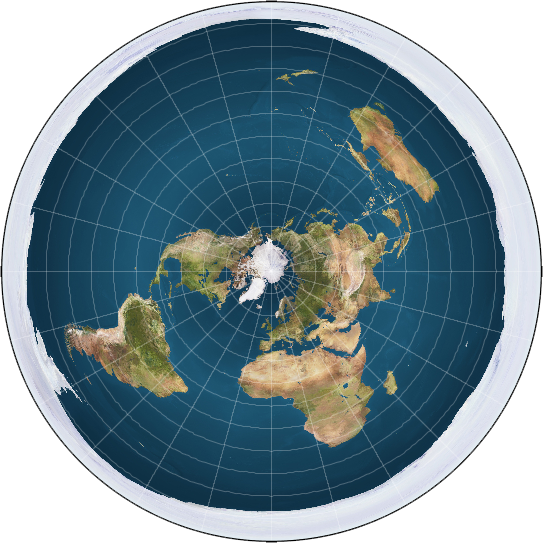 The Earth is domed within a barrier with the sun and moon near that boundary to manipulate and govern the flow of energies both to and from. For this Momentous event turbulent waves have rippled beyond the barriers and the great distance to tickle the attention of the extra-dimensional entities. The extra-dimensional entities’ curiosity focused on the primitive life on the surface of Earth. Minute portions of their thoughts seeped through the barrier and touched the dreams and visions of the primitives on Earth. The primitives began to express their visions of hope and advanced skills with technology. Song, prayer, and art were powerful cries for help. A criminal investigation has been opened into an attempted act of terrorism filed late last week and claimed to be directed by the Ukrainian Defense Ministry’s intelligence service, it added. Apparently pro-Kiev/NATO agents attempted to murder the NovoRussiya Leader (independent Eastern Ukrainian). Correct me if there is a better way to translate the separation between the Kiev Junta (Western Neo-Nazi Ukrainian forces backed by U.S./NATO agents and support), and the Separatists in the Eastern region of what was once Ukraine with majority from Russian families. Title: POPE FRANCIS to PROCLAIM LUCIFER as God of One World Religion on September 23 2016?